Automatic Extra Wide Definite Length Tape Dispenser. Feeds and cuts the next piece of tape to either a random length by pressing a cut button or to a pre-determined length. Works on most pressure sensitive and non-pressure sensitive tapes and films up to 6 inch wide. Heavy duty steel case and construction. Unique cradle design allows for large roll diameter of up to 12 inch. Core size is no problem. Has 1 random mode and 2 automatic modes. Easy to read LED and push button controls. 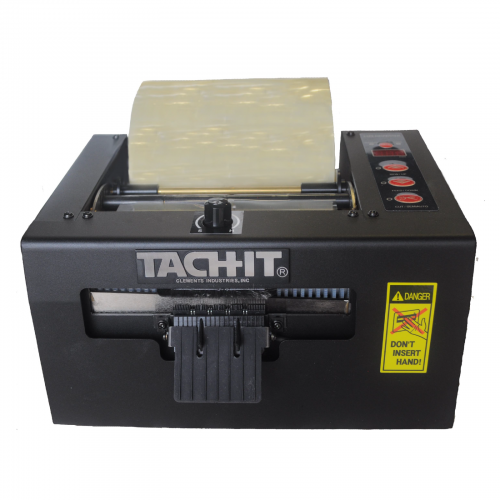 The Tach-It Model #6600 is extra wide for tapes and non-adhesive films up to 6 inch wide. 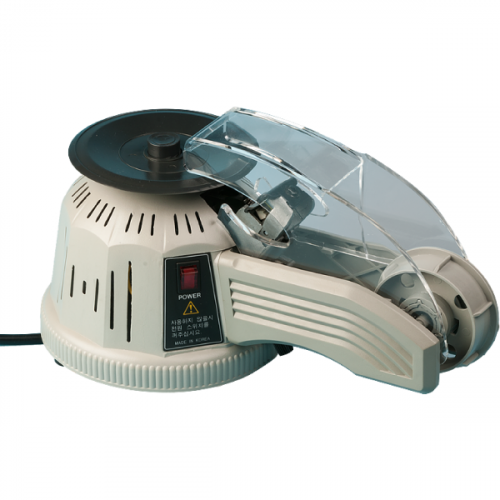 Perfect for manufacturing, industrial and packaging of products that use protective films for protection such as windows, glasses and other items, the Model 6600 can cut product up to 39.3 inches long. Heavy duty construction and built for years of reliable service, the Model #6600 uses a sharp guillotine cut for a clean edge every time. 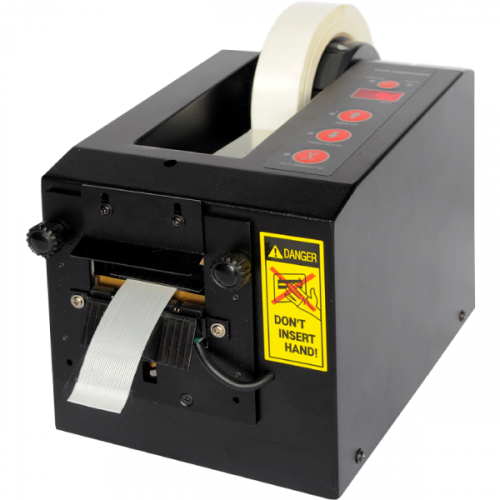 WIth a feeding speed of 6 inches per second, the Model #6600 has multiple modes including a random mode and automatic modes that feed a pre-determined length of tape each time. Exclusive cradle design doesn't require a specific core size for the tape and easy LED indicators and push button controls are all advantages of this machine.